Custom cues made by a famous cue factory. 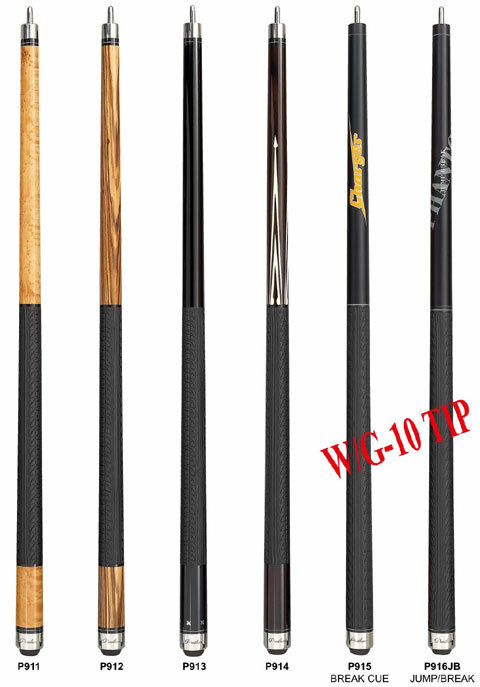 Solid wood, high quality cues with inlays, points, at unbelievable price. All materials are the best. These cues play excellent. Original Uniloc joint. Custom finish. Guarantee these are the best valued custom cues. Similar cues from other source will cost you $300 to $500. Click on the cue for a clear picture. Weight: 19.50 oz. Weight can be adjusted. *If you like to upgrade a Panther shaft to a Predator 314-2 shaft, or OB shaft, email us for the special price. *Promotion price subject to change, & when stock available only. Free cue bag style and value vary.